The Chinese exports and imports fell sharply in March 2014, adding to recent indicators pointing to a slowdown in the world’s second-largest economy. 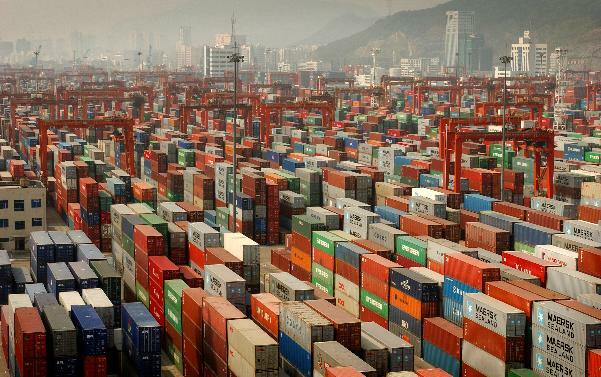 China’s exports fell by 6.6% in March when compared with the previous year. Imports dropped by 11.3% in the same month, when compared with the same time last year. This is the second straight month of falling exports for China. In February, exports dropped by 18.1%. It is the first time since 2009 that exports have fallen for two months in a row. China’s export decline in February was mainly attributed to weaker demand due to the Lunar New Year holiday period, which led to closures of many businesses and factories. Analysts had been expecting to see an increase in both import and exports for the month of March. The March trade figures will add to recent concern about the state of the Chinese economy, which has shown signs of weakness amid poor data from the manufacturing and retail sectors. The latest trade figures come days after the World Bank trimmed its growth forecast for China to 7.6% for this year from its earlier forecast of 7.7%. The latest trade data leaves China with a trade surplus of $7.7 billion in March, a turnaround from a deficit of $23 billion in February. China last week unveiled a mini-stimulus package to boost growth, which included more spending on rail infrastructure and tax breaks for small businesses. The Chinese government is aiming for total trade to grow 7.5% this year. Last year trade grew by 7.6%, below the official target of 8%.